Find Outdoor Rattan Furniture, Rattan Outdoor Furniture, Outdoor Furniture on Industry Directory, Reliable Manufacturer/Supplier/Factory from China. 5.FAQ 1. Question: What is the Minimum order? Answer: Our MOQ is a container, at least 10sets per item, a 40HQ can mix within 3-5 different items, and a 20GP can mix within 1-2 different items. 2. Questions: How long is the warranty of furniture? Answer: Our warranty is 2 years for rattan and aluminum frame. 3. Question : How long is your delivery time ? 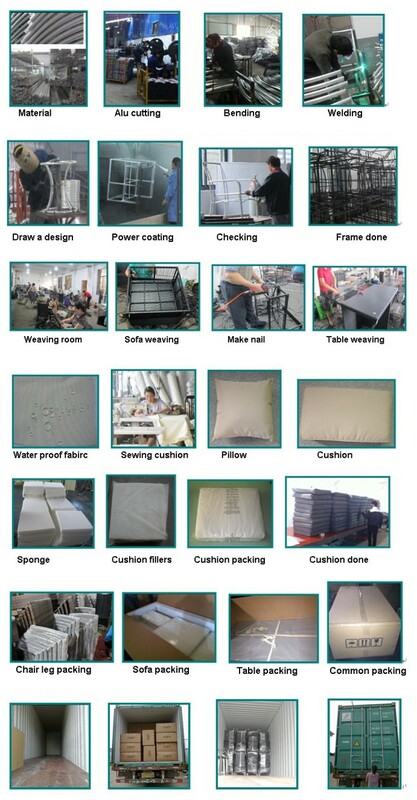 Answer: 25- 35days after receiving T/T with 30% for the deposit as a container, also it depends on the type of order and model of furniture we have to make. 4. Question: Can I leave my cushions outside all year round? Answer: Cushions should be stored for the winter in climates exposed to snow and freezing temperatures. Cushions should be cleaned and allowed to air dry before placing into storage. Always store cushions in a dry, well ventilated area. 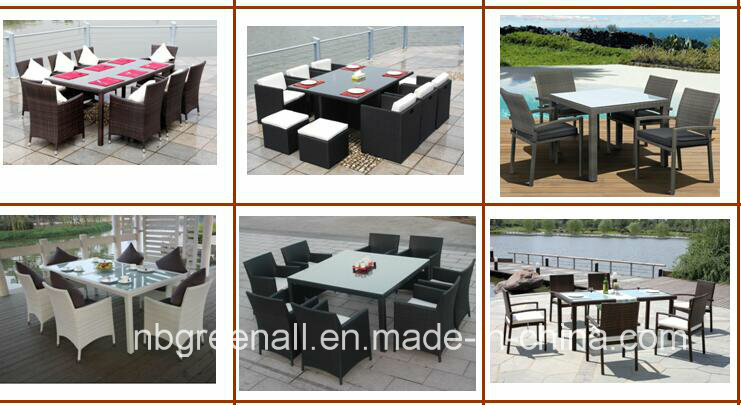 6.Our company Greenall Company Limited is a proffessional supplier for rattan outdoor furniture with many years.Our products range included rattan sofas, rattan dining tables and chairs ,sun beds ,lounges, chairs, storage box, and hunging-chair etc. 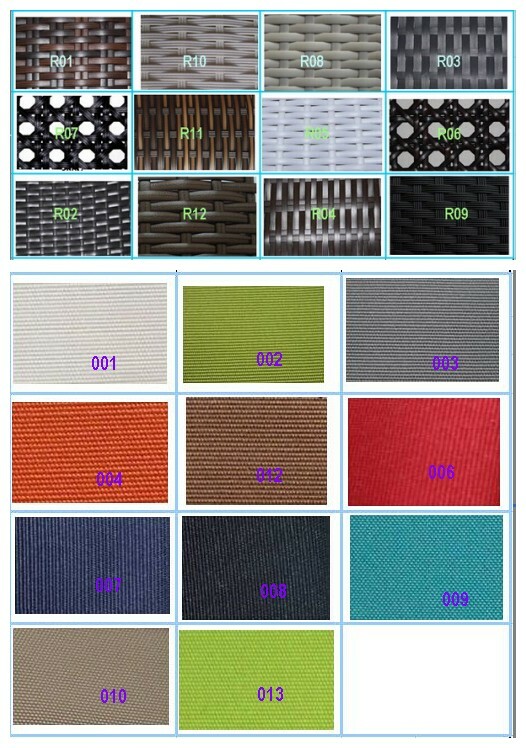 ,which are widely used in garden, outdoor , house, hotel ,park ,swimming pool ,casual center, resorts and beach .etc. We located in Ningbo ,the transportation is very convient near Ningbo port . We sell to all over the world ,especially for Western Europe , North America, Australian , Southeast Asia, South Africa ,and so on . We are continuously developing new products , OEM/ODM service also welcomed ! Contact us if you need more details on Outdoor Furniture Set. We are ready to answer your questions on packaging, logistics, certification or any other aspects about Rattan Outdoor Furniture Set、Rattan Outdoor Furniture. If these products fail to match your need, please contact us and we would like to provide relevant information.